Event Catering is site specific, designed according to client needs and budgetary constraints. Husband and Wife team, Dennis Foy and Estella Quinones, are committed restaurateurs who counterbalance each other’s exacting artistic standards. Estella’s passion for design and Dennis’s interest in painting clearly reflects this sensibility. The exciting twenty-eight seat restaurant d’floret is a modern elegantly-lit stage, featuring an open kitchen and adjoining dining room that exhibit the chef’s dual passions: Foy’s paintings and culinary mastery. The space is accented by a floor-to- ceiling Black Walnut Nakashima panel, lighting by Ayala Serfaty, the Israeli artist, with Arnie Jacobsen modern Classic chairs, finishing the sleek warm welcoming room. Please note, due to high demand and limited seating, in addition to online holds we require diners call the restaurant to reconfirm your by 12pm day of, or it will not be honored. Utterly charming...service was wonderful, food was delicious, and ambience was delightful. Love this restaurant. The service is excellent. The food is delicious. We’ve been here many times. Very consistent. Four of us enjoyed a fabulous meal last night at d'floret. Lovely little spot in Lambertville, NJ. We have always enjoyed Dennis Foy's restaurants but this one is at the top of our list. We were greeted by Estella who took care of us all evening. She lovingly speaks of the dishes and made fabulous recommendations. Sauteed crab tian to start, Gateau de lagoustines and Profiteroles all made to perfection. I will be dreaming about this meal for a long time. Chef Foy and his wife, Estella, are a great team. Estella’s warm, friendly greeting set a welcoming tone for a delightful dining experience. 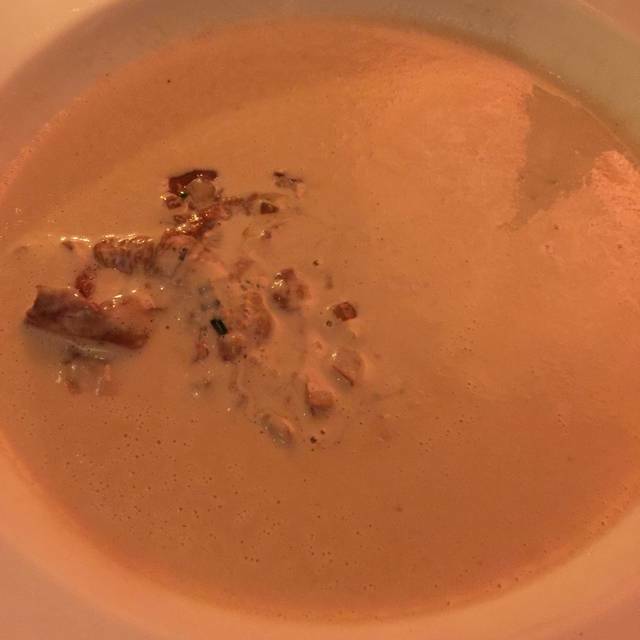 Our evening started off with creamed mushroom soup; perhaps the best we’ve ever experienced. 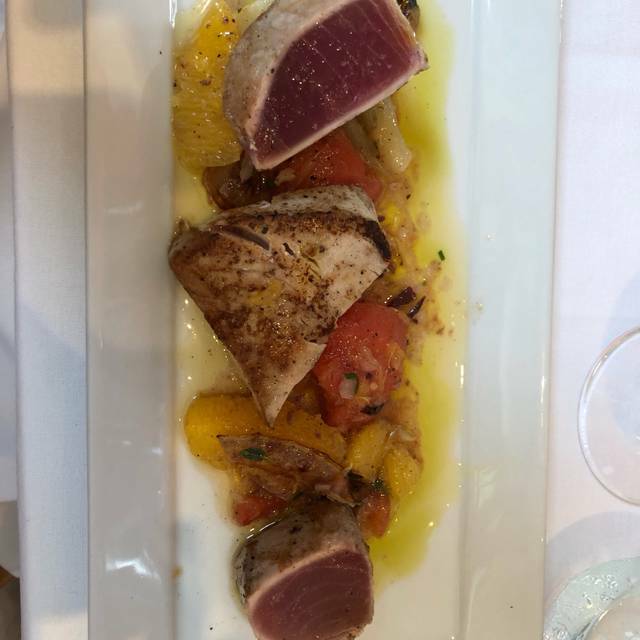 My husband enjoyed one of the evening’s specials: a very generous portion of superbly prepared ahi tuna impeccably garnished with a medley of vegetables. 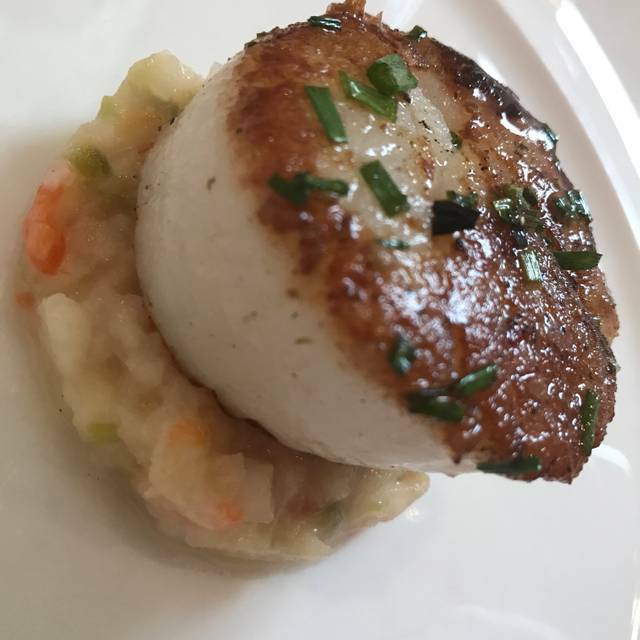 My seared day boat scallops with warm Tuscan bean salad, fennel and garlic rosemary was a perfect marriage. No meal is complete without dessert. The warm apple pie with walnuts and vanilla ice cream was a great finale’. This is a hidden gem of a restaurant. Truly fine cuisine, by a skilled French trained chef. We highly recommend that if you are in the area, you not miss the opportunity to dine here. Small restaurant, so very crowded which also added to the noise level. Food was very good. Hubby had tuna, which wasn’t the best tuna steak he has had. A lot of fat in it. Appetizers and dessert were fabulous. D'floret is not a pretty restaurant, but it is small and intimate. The hostess is gracious and kind. The first sign of trouble was that the olive oil sitting at our table was rancid. I did not have the heart to bring this up before our meal even began, so we just avoided using it. Too bad, because the bread was good. Believe me, I know my olive oil and I certainly know when it is rancid. We had a few very delicious dishes. The crab cakes and the gnocchi were great, and the haricot verts were also very good. The lettuce salad, which was supposed to have chopped herbs, had no herbs that we could detect and was no more than mixed greens from a bag. We really disliked the mushroom crepe, which had a strange flavor. Overall, there was too much cream and not enough fresh vegetables. So, I would say that the food was uneven. We had apple pie for dessert, and while the flavor was good, the bottom crust was soft and soggy. I say, with all humility, that my own apple pie is better by a mile, and I am not a professional cook. I would recommend d'floret to a friend, but only with strict instructions about what to get and what to avoid. GREAT dinner the specials were amazing. This is one of our favorite restaurant and the owners are so nice. It is cute little bistro. This was a really interesting dining experience. Very small restaurant, only 24 seats the night that we went, and there is the open kitchen. The interior has a huge light fixture and some interesting art, I'd say it was cozy and comfortable. My vantage point from my table was directly at the fridge, so it could have been better, but overall a pretty cool ambiance. The food was OK, solidly good but nothing special and some dishes were a bit on the bland side (especially my small side of very overcooked vegetables) , but I think for the price it was not worth it. It is also billed as a french restaurant, I would consider it New American as nothing on the menu stood out to me as french (Tortellini, Crab cake, Sirloin Steak) there weren't many sauces, cheese or creams used and the seasonings were fairly standard. If you have some extra $ to blow and want to check it out it is worth a night out, otherwise pick somewhere else in Lambertville. Review is based on a PP cost of $75 including tip. No drinks and only 1 dessert shared between 2 people. I would say try it once for the food and you decide. Overall food was very good not great. We shared the pasta bolognese for an appetizer. This was made with fresh made pasta (which was just okay). This was good but there was too much sauce and not enough pasta. I felt it should have been the opposite. We had the Lamb chops and Tuna for entrees. Both very good no complaints. Quality of the food was very good but the preparation was simple. Something an average cook can do at home. Again I come back to the price point because at the price it should be special, something you wouldnt do at home. Atmosphere. There is non unless you enjoying eating in someones kitchen. My biggest complaint here is our reservation was 8pm which was the last seating and after all guest appeared to be fed and while we were eating desert the kitchen took the opportunity to start cleaning up. This created a lot of smoke, noise and smell. I left with a bad smell in my nose, This was totally uncalled for at this price point. Service was good. Not rushed or not too slow. They pretty much allow for 2 hours a seating which is perfect. A Valentine’s Day to perfection! Food was impeccable. Service the same. Quite possibly the best Valentine’s Day dinner of all time. We have dined here a number of times, and also at Cafe Loret in Red Bank. At first, we were reluctant to dine at one vs the other knowing that Chef Foy can't be in two places at once, but he's done a masterful job assuring that you needn't be concerned in that regard. 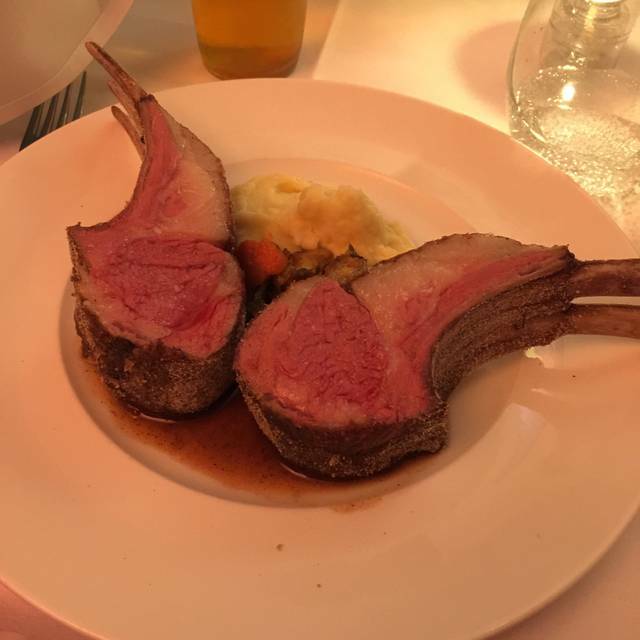 The scallops are so amazing that it's difficult to make another selection, but the same can be said about the rack of lamb and steak (and probably every other dish, though I can't speak from first hand experience). We rarely stray from the crab appetizer, also a standout, but I tried the mushroom crepe with shaved truffles this time and am glad that I did. Delicious. For dessert, the Chocolate Royale is stellar; among the best desserts that I've ever had. The chef's wife is a most gracious and well-informed hostess and so proud of her husband's talent. Why did it take me so long to go to this small slice of heaven in Lambertville. Delicious French food in a cozy romantic dining room next to the open kitchen. Add warm, knowledgeable service and you have a charming and memorable night out. It’s BYOB so it’s also a great value. This is an unassuming little place, a block off the main road through Lambertville. Very few tables, barely separated from a small kitchen, but ... DAMN do they know what they’re doing. Mushroom soup, tortellini, gnocchi, scallops, all perfect. Highly recommended. Great food .Very rare nowadays to find food that is fresh and prepared with perfect attention to detail these people have found the secret. my scallops were the best I have ever eaten and my wife's salmon was amazing. We will be visiting this restaurant many times in the future. Wonderful host and amazing food. 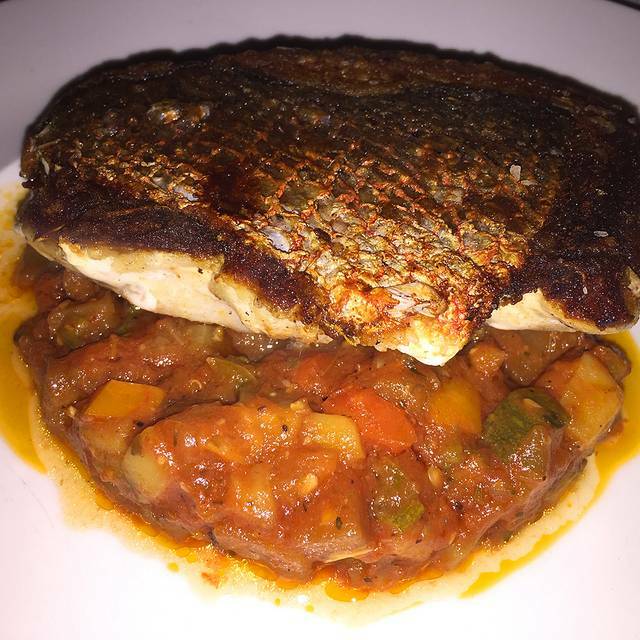 The food was extraordinary, service was attentive and we enjoyed the evening. A quiet small restaurant with excellent food. We were there New Years eve and the menu was not restricted. A table at d’Floret on a Saturday night. Life is good! A meal created by an incredibly talented chef surrounded by walls covered his outstanding works of art, and hosted by the most friendly and professional matre ‘d. The gnocchi were the freshest, most tender I’ve ever eaten. The crab Tian is exactly that - crab. And, the tortellini in truffle cream sauce was divine. Follow those starters with succulent lamb chops prepared rare - tender beyond compare. Dessert - Tahitian vanilla creme brûlée, or crisp apple pie with a scoop of vanilla ice cream. Or, any other dessert choice would satisfy your sweet tooth, and perfectly complete your fantastic dining experience. We love this place! Such amazing food. Small, quiet, intimate, lovely. Can’t wait to try the new place in Red Bank! Food was excellent. Service was outstanding. Owner was very accommodating. BYOB. Restaurant is very small so you need reservations. A go to favorite it rarely disappoints. There was a recent change to the chicken main dish and I prefer the older recipe but it's important for restaurants to change up their offerings. The green bean salad was one of the best I have ever had. A lovely, small, chef-owned and operated bistro. Food is excellent, and, unlike so many restaurants, the room is conducive to quiet, civilized conversation. That’s a find! Food was terrific service was good small place very intimate would suggest bigger place more food selections . Our meals, both the Salman and Tuna were excellent and well prepared. We thoroughly enjoyed our evening and greatly appreciated the wonderful service. We will definitely return for another fabulous meal. We were really surprised at just how great d'floret is. Every single dish that came out was delicious. We had their crab tian, haricot vert warm salad, and the special house-made tortellini for appetizers. 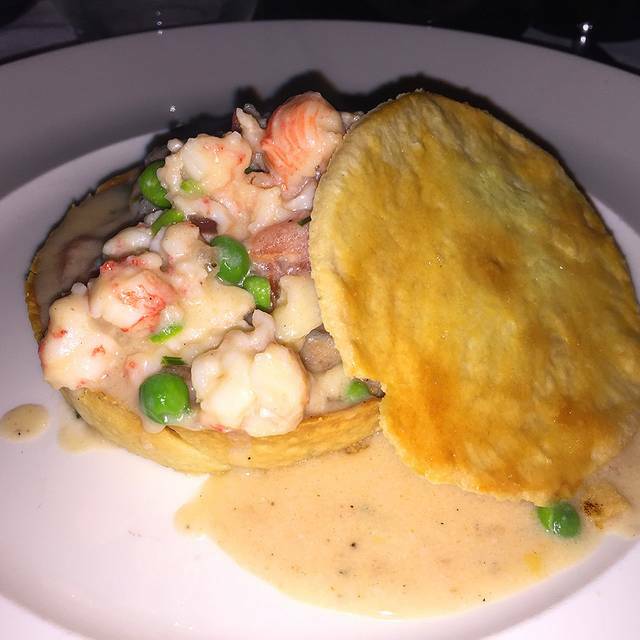 For mains, we had the lobster pot pie, lamb, bolognese, and salmon. Everything was cooked perfectly. The restaurant only has nine tables, and it is clear that every dish that comes out is fresh and carefully crafted. The owner was also amazing. We were visiting New Hope and had walked over for dinner. While eating, it starting to downpour. She called a cab for us and let us wait in the dining room, after everyone had left, until our cab finally arrived! Fun night to celebrate a birthday. Goat cheese tart continues to shine, as do the lamb chops and veal bolognese. Save room for dessert, too. Small, intimate place, not packed on this night, which was a plus at least for us. Although the meals were quite delicious, the choices were limited having been unchanged for years, and the prices quite exorbitant! The service was rather poor even though the restaurant has only a few tables to accommodate. As usual every thing was excellent ! Best restaurant in the area. In both times we've been, food, service and overall experience have been 5-star. 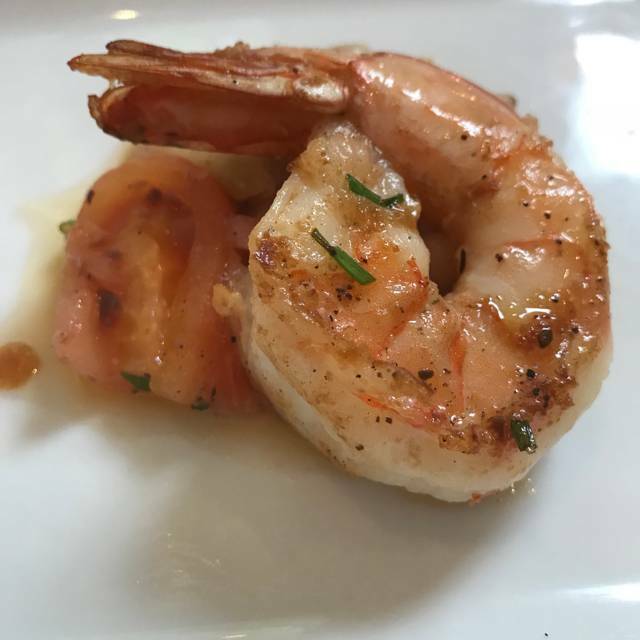 The food was excellent - flavorful, great presentation and the staff is very friendly. We have been to d'floret several times and have loved it every single time. Great food, great service, love it. They were running late and we didn’t get seated until 45 minutes after our reservation time. That said, the hostess/owner was very nice and apologetic. The food was absolutely first rate across the board. You should just call ahead to be sure they’re ready for you. 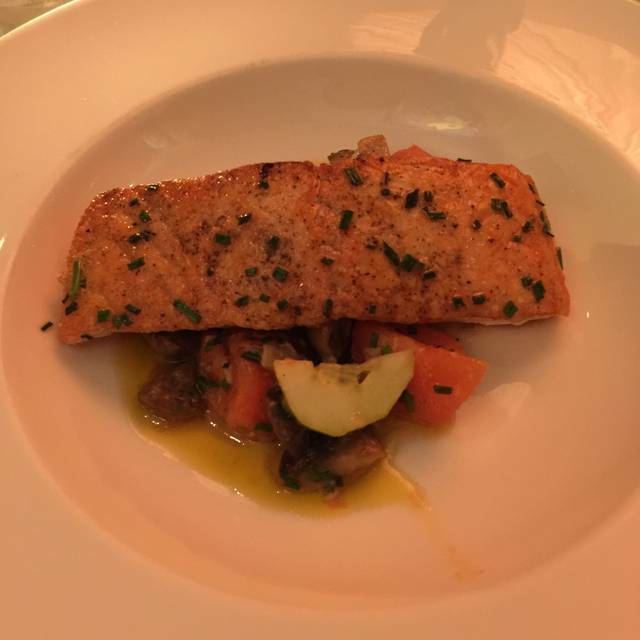 We have now been to D’floret 3 times mad Cafe Loret once and have never been disappointed. The food is consistently outstanding. Chef Foy’s wife is very gracious and remembered our previous orders, going so far as to change my wife’s vegetable accompaniment to match her previous meals. 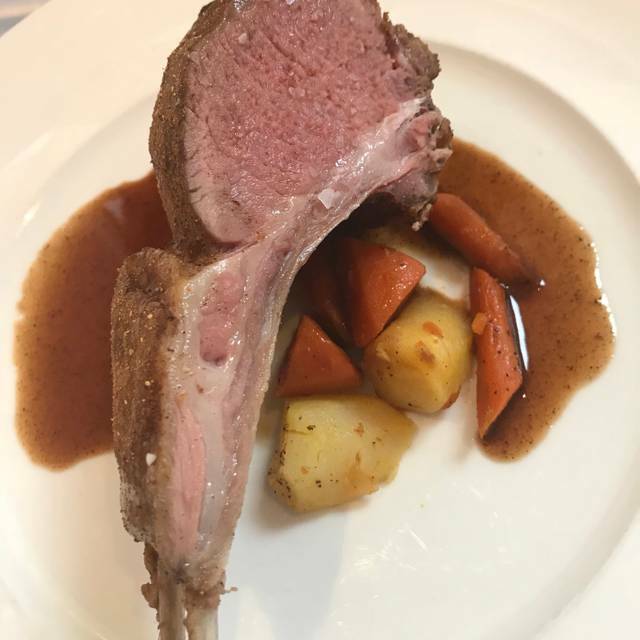 I’ve tried a different dish each time, despite my desire to order the perfect rack of lamb on each visit. The langoustine dish did not disappoint. We’ll be back. My wife and I enjoy trying different restaurants, but we haven’t been able to follow that concept whenever Lambertville is our destination. Incredible food at reasonable prices. BYOB makes it even better. I celebrated my wife's birthday here, and d'floret is an absolute gem! Outstanding food - some of the very best we've had in the area (Bucks, Hunterdon, Mercer Counties) - rivaling the cuisine at the Peacock Inn from a few years ago. I had the hericot vert salad and gateau of langoustine (like a deconstructed lobster pot pie), and both were to die for! Very intimate atmosphere with maybe 12 tables, and we had the opportunity to chat with Chef Foy. We even had a couple celebrities sitting behind us!